A graphene oxide-based nano-metal composite oxide CuFe2O4/GO was successfully prepared by a versatile self-assembly approach. Structure and morphological characterization of CuFe2O4/GO nanocomposite were studied in detail by a series of characterization techniques including XRD, FT-IR, XPS, BET, SEM, and TEM. The results revealed that the self-assembly process did not destroy the composition and morphology of the spinel-structured CuFe2O4 particle, and the transparent GO sheets with wrinkled and rough texture are tightly coated on the surface of CuFe2O4 nanoparticles like a layer of thin gauze clothing. The particle size of CuFe2O4 is about 200 nm. Catalytic activity of as-prepared CuFe2O4/GO nanocomposite on the thermal decomposition of cyclotrimethylene trinitramine (RDX) was investigated via differential scanning calorimetry (DSC). 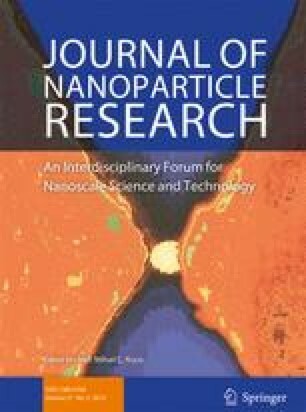 The experimental results show that the CuFe2O4/GO nanocomposite has much higher catalytic activity than single CuFe2O4 nanoparticles and GO. Thermal decomposition temperature and apparent activation energy of RDX were reduced from 241.27 to 220.34 °C and from 172.6 to 142.56 kJ mol−1, respectively. The improved performance could be attributed to the “positive synergistic effect” between CuFe2O4 nanoparticles and GO. This investigation received financial assistance from the National Defense Key Laboratory of China and the Natural Science Foundation of Shaanxi Province (2018JM5181).